Publishing a novel is a daunting goal, but it is possible. 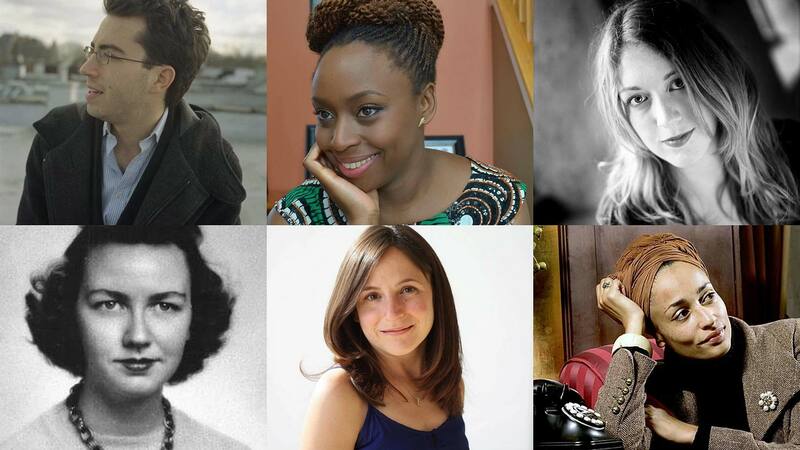 The following authors all have one thing in common: their first books were published in their 20’s. Their stories are encouraging to all aspiring writers. 20, Helen Oyeyemi. Oyeyemi’s first novel, The Icarus Girl, was published while she was still in school. 21, Samantha Shannon. Shannon spent years writing a novel, only to have it rejected by agents. She turned her focus to a new series, and her first novel, The Bone Season, was written while she was in college. Andy Serkis’ company, Imaginarium Studios, currently holds the movie rights. 23, Eleanor Catton. Her first novel, The Rehearsal, was written for a master’s thesis in creative writing. Her second novel, The Luminaries, was awarded the Man Booker Prize. Catton is the youngest writer ever to receive the award. 23, F. Scott Fitzgerald. His debut novel, This Side of Paradise, was written to win back his future wife, Zelda. 24, Zadie Smith. White Teeth, Smith’s first novel, told the story of two unlikely friends in post-World War 2 London. 24, David Foster Wallace. The novelist best known for Infinite Jest published his first novel, The Broom of the System, shortly before his 25th birthday. 25, Jonathan Safran Foer. His first novel, Everything is Illuminated, was also developed from a college thesis. In 2005, it was adapted into a movie starring Elijah Wood. 25, Téa Obreht. Her debut novel, The Tiger’s Wife, tells the story of a young doctor unraveling the mystery surrounding her grandfather’s death. 25, Karen Russell. Her first book, St. Lucy’s Home for Girls Raised by Wolves: Stories, was a collection of short stories. Her first novel, Swamplandia! was one of three finalists for the Pulitzer Prize for Fiction. 26, Stephen King. He threw an early draft of his first novel, Carrie, into the trash can. Luckily his wife rescued the pages and told him to finish it. 26, Chimamanda Ngozi Adichie. Purple Hibiscus told the story of a girl’s struggle for identity, a theme present in many of Adichie’s other novels. 26, Alice Walker. She celebrated her 71st birthday earlier this month, but her first novel, The Third Life of Grange Copeland, was published in her late twenties. During her career, she won a Pulitzer Prize for her novel The Color Purple. 27, Flannery O’Connor. Her first book published was Wise Blood, which made The Guardian’s list of the top 100 books of all time. 27, Ernest Hemingway. The Sun Also Rises, Hemingway’s first novel, has never been out of print since its release in 1926. 28, Valeria Luiselli. Her first novel, Faces in the Crowd, was honored by the National Book Foundation. 28, William Faulkner. His debut novel, Soldier’s Play, was unsuccessful, and a few more novels were published before his work was recognized. He later won two Pulitzer Prizes and a Nobel Prize. 28, Yelena Akhtiorskaya. Her first novel, Panic in a Suitcase, chronicles an immigrant family over two decades. 29, Emily Brontë. Her classic book, Wuthering Heights, was her first and only novel. 29, Catherine Lacey. Her debut novel, Nobody is Ever Missing, received acclaim from many people, including director Joss Whedon. Also Check out... Does a whip Create a Sonic Boom? In his book On Writing, Stephen King said, “You can, you should, and if you’re brave enough to start, you will.” With a pen, paper, and a little imagination, the next success story could be yours!